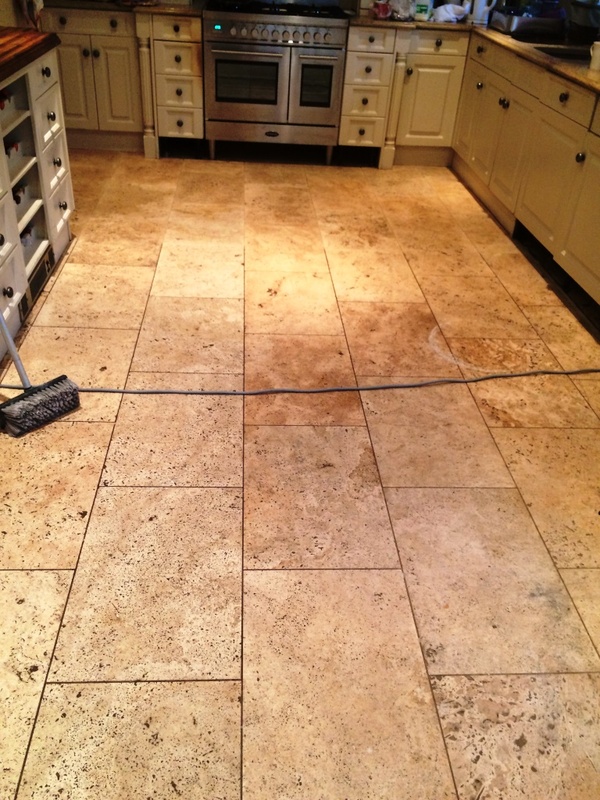 We were asked by the new owners of this property in Marlow to clean and seal the Limestone tiled kitchen floor which was in a heavily soiled condition and it was apparent that the tiles and the grout lines hadn’t been professionally cleaned for some time. 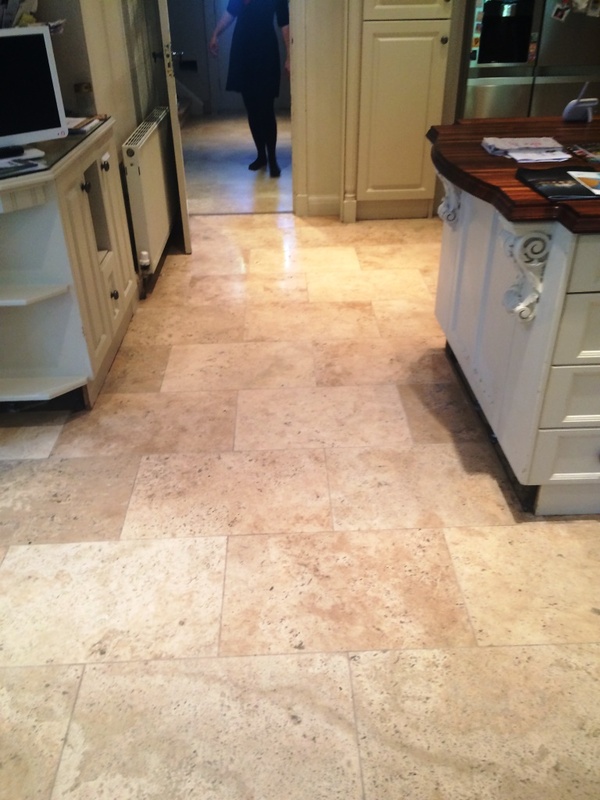 To lift the ingrained soiling and restore the grout we started by applying a dilution of Tile Doctor Pro-Clean which was hand scrubbed into the grout lines with a stiff grout brush, this was followed up with Tile Doctor Grout Clean-Up which returned the grout lines to the original colour. The resultant soiled solutions were then removed from the floor with the aid of fresh water and an industrial wet vacuum. Our next task was to re-hone the stones using the Tile Doctor Diamond encrusted burnishing pad system which cleans and polishes natural stone returning it to its original condition. The pads come in a set of four and you start with the coarse pad together with a little water. This this cuts through and removes surface grime, dirt and any remaining sealer. The floor is then rinsed and you move on through the remaining pads until the polish has been restored to the tiles. This process took up much of the first day so the floor was given a final rinse and left to dry overnight. On the second day we returned to find the tiles had dried and as expected and we started to seal the tile which we did with two coats of Tile Doctor Colour Grow which is a colour intensifying sealer that soaks into the pores of the stone bringing out the natural colours whilst providing that all important lasting protection. The customer was amazed with the clean appearance of her tiled floors and said it had transformed her house ready to live in. 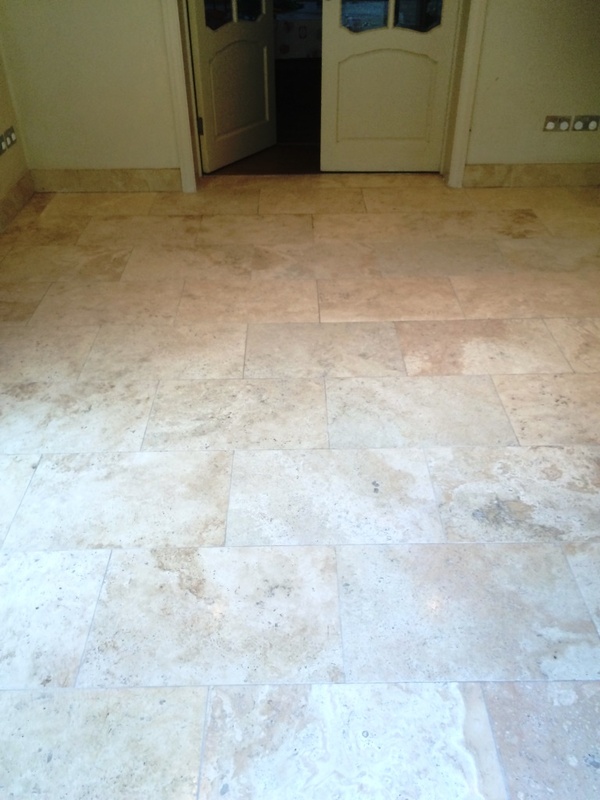 This entry was posted in Limestone Posts and tagged cleaning services, floor restoration, kitchen cleaning, limestone floor cleaning, limestone tiles, marlow, sealing limestone floor, south buckinghamshire, tile cleaning, tile maintenance, tiled floor by AbzDominise. Bookmark the permalink. 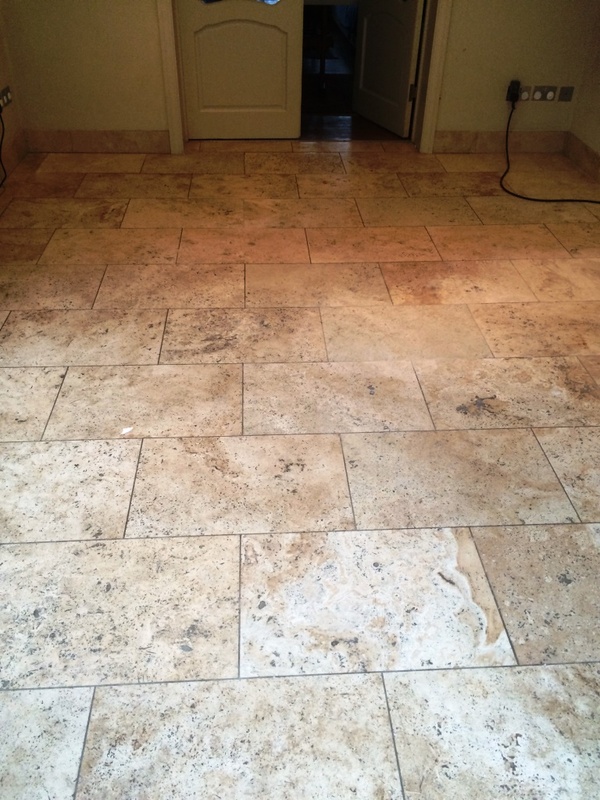 Once a sealer wears off dirt can get trapped in the pores of the stone making it very difficult to clean, to stop this happening natural stone floors need to be deep cleaned and re-sealed every two to three years.